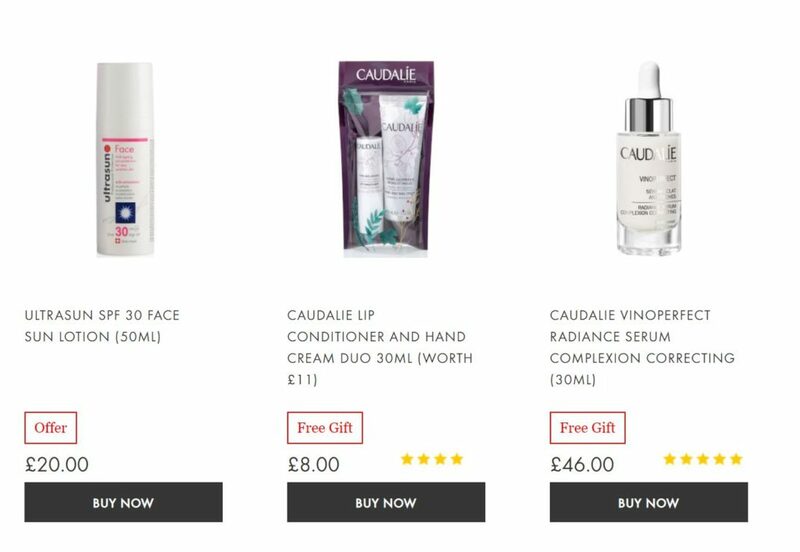 Home > Beauty, Wellness and Sports > Beauty > Best 11.11 Beauty Deals from Overseas Sites: LookFantastic, Beauty Expert, MANKIND & HQhair! 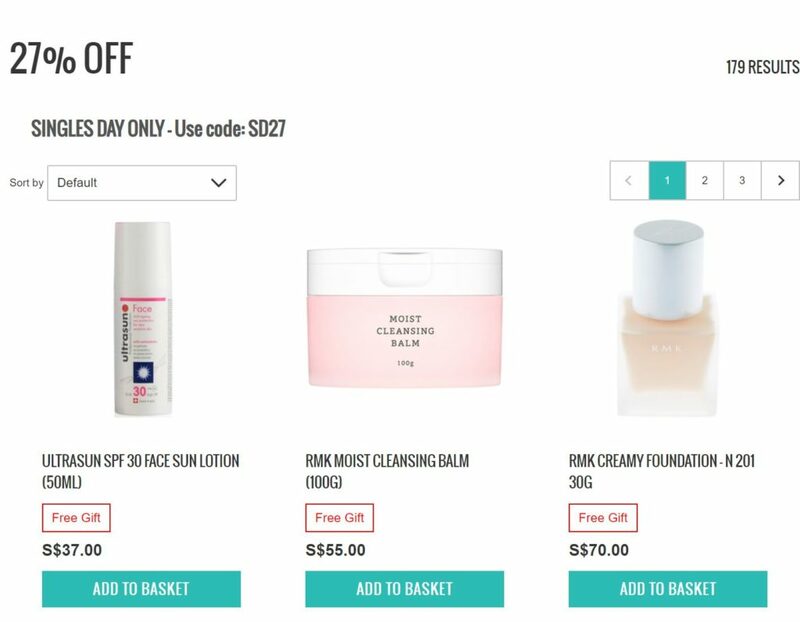 LookFantastic is one of our favourite beauty sites, because it is really user friendly with prices in SGD and free delivery with no minimum spend! If you spend $150 and above, you even get Tracked Delivery. 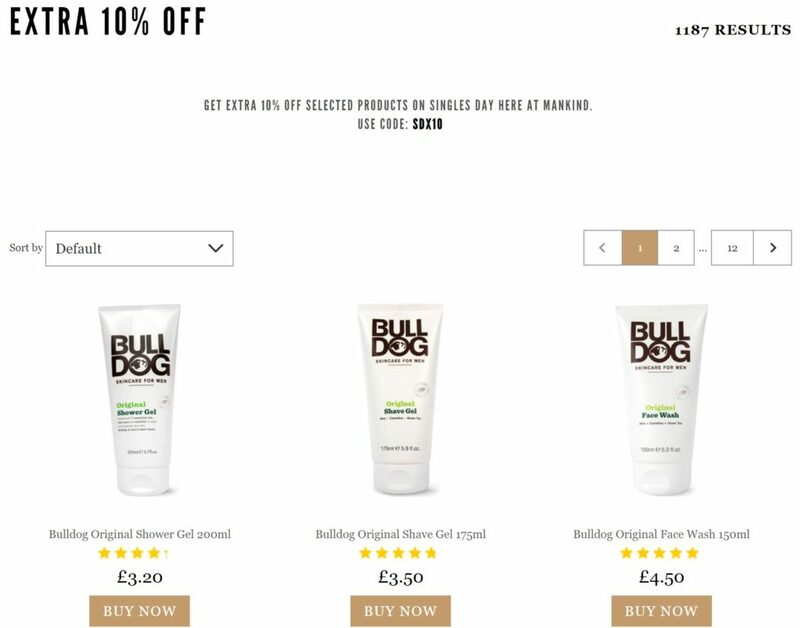 This 11.11, they have released many coupon codes for use from 8 to 12 Nov 2018. 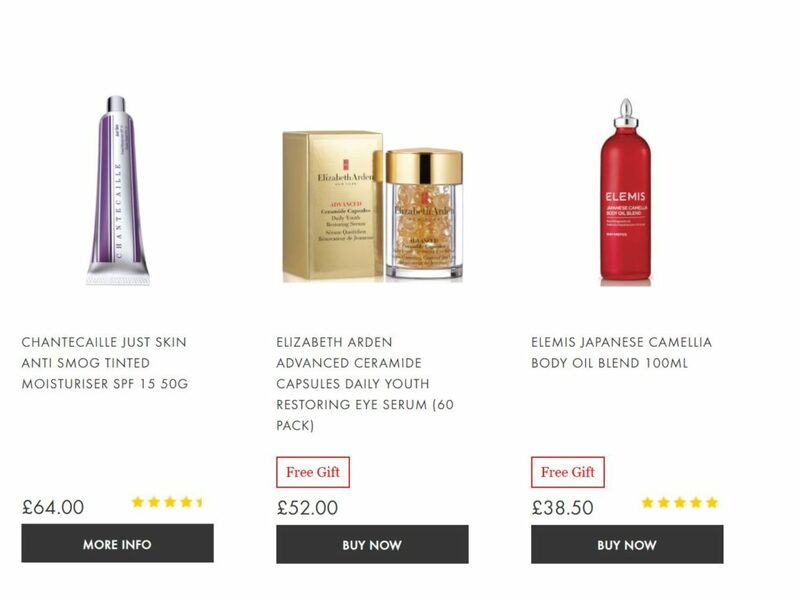 You can even get free gifts with your spend! Valid till 12 November 2018. RMK is a top selling Japanese makeup brand. 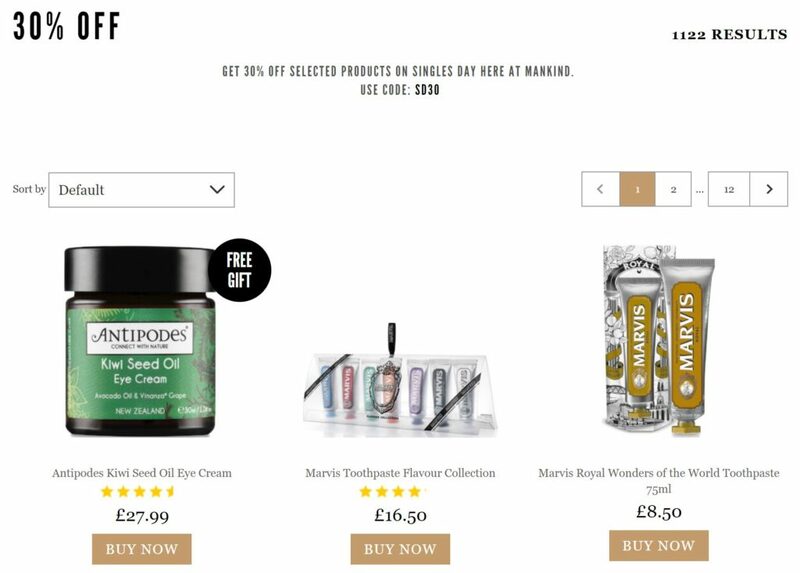 Their most popular products include their creamy foundation and cleansing balm. They have a counter at Takashimaya in Singapore and are known for their minimalist packaging and quality. Their products are free from oils, emulsifiers, and perfume, great for sensitive skin! Molton Brown has been discovering fragrances since they started their journey in London over 40 years ago. Their products have been used by many airline companies and five-star hotels. Their bestsellers include their Orange and Bergamot and Gingerlily Body Washes. 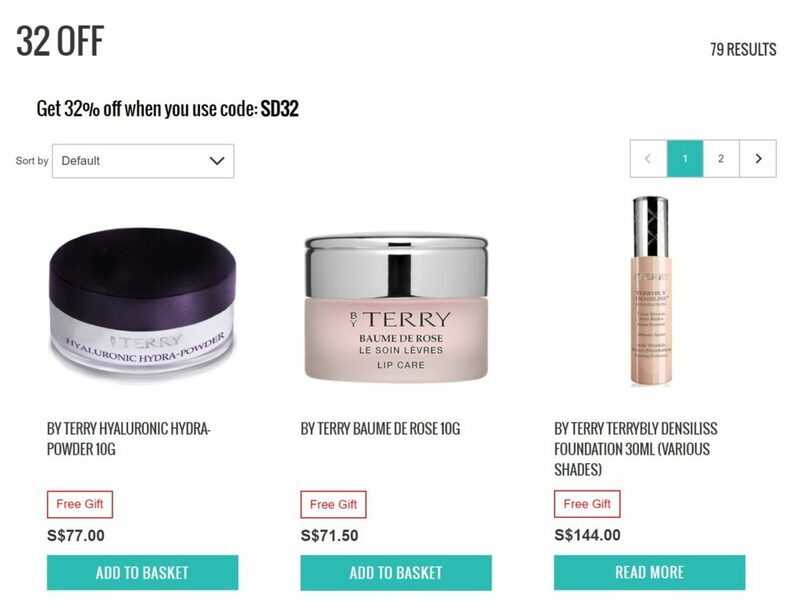 The top selling products from By Terry are mostly bases, especially their cream and liquid foundations which are well loved by celebrities. 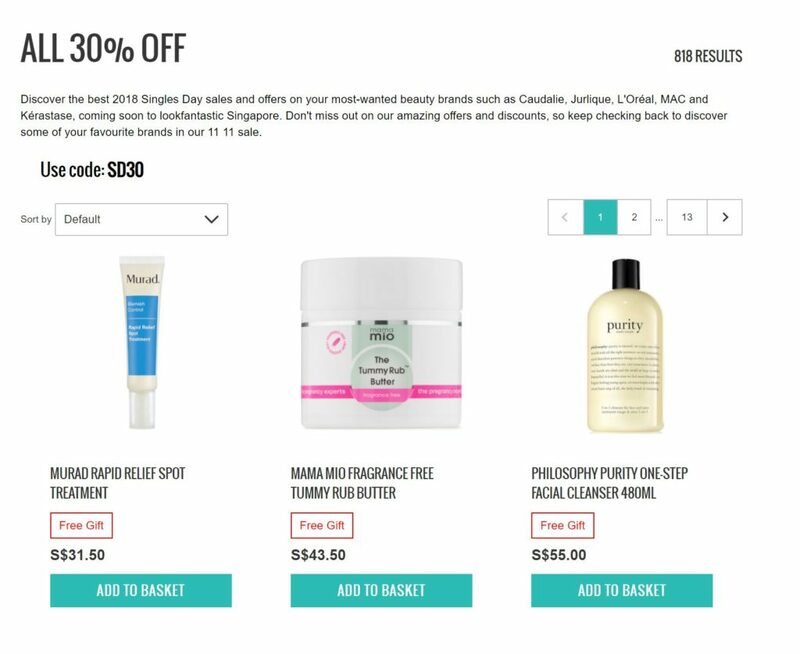 Items on this event page are at 30% off with coupon code including Philosophy Purity Cleanser, Hope Cream and also Marvis Toothpaste! No coupon code required for this zone! 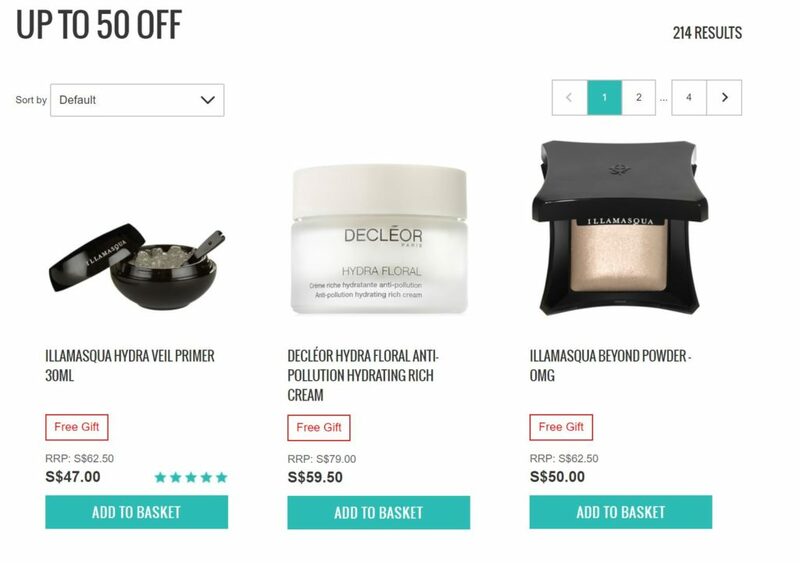 Must buys include Illamasqua Hydra Veil Primer and many other star items, at up to 50% off. Get any 3 items from this zone to get 35% off! 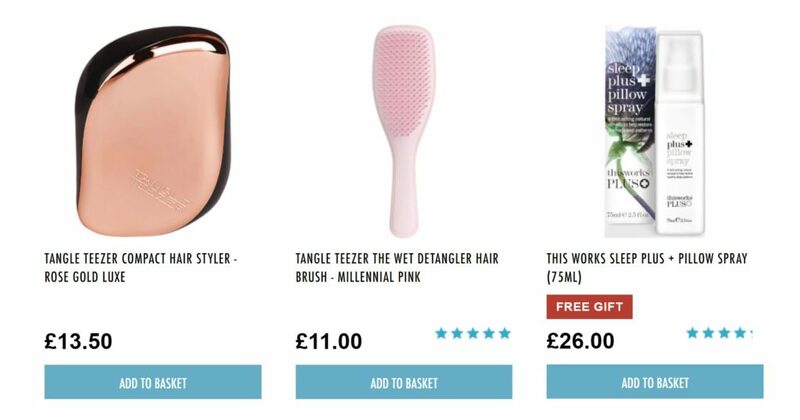 Must-buys: Kate, the Duchess of Cambridge's favourite Tangle Teezer Hair Brush, so many pretty colours to choose from! 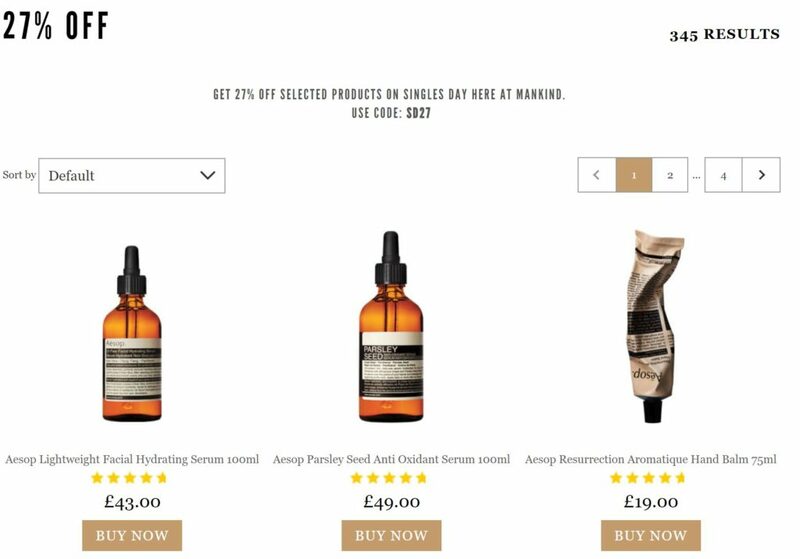 REN's bestselling ranges are the Evercalm and Radiance range. The Evercalm collection is good for acne prone and sensitive skin as it removes impurities without harshly stripping essential oils away with a moisturiser that protects your skin against harsh day to day pollutants. The Radiance range has exfoliating properties to improve the complexion of the skin for better moisture absorption and increase the brightness of it for a healthier glow. The Glycol Lactic Radiance Renewal Mask was even chosen by InStyle Magazine in 2008 as one of the most wanted products. Even after so many years, the product is still highly raved. Effortlessly smoothing over the visage, the luxurious face mask encourages results in just ten minutes. 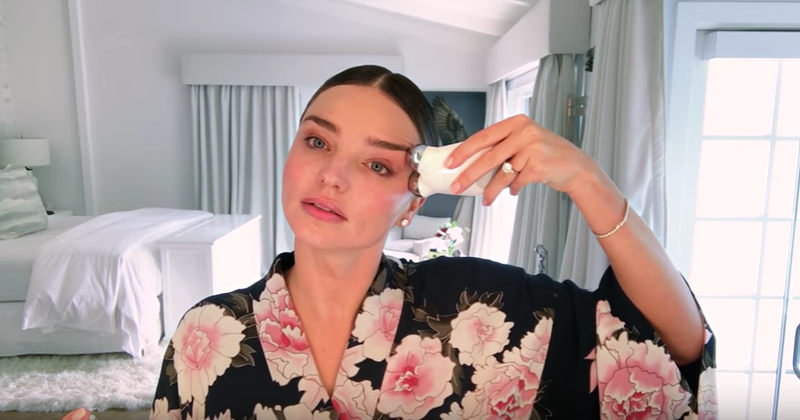 Whilst on skin, the formula is able to renew the complexion due to a hardworking cocktail of four AHA’s. Glycolic, Citric, Lactic and Tartaric Acid work in synergy to perform multi-action exfoliation on the face. This is able to eliminate dead skin cells, resurface the top layer of skin to visibly improve skin tone and reduce the appearance of enlarged pores. Acne scars, hyperpigmentation and areas of sun damage are also visibly reduced. Although the year end Shiseido sale is upcoming, the top selling collection - Ultimune is seldom on sale! So grab this chance to get them at 22% off! 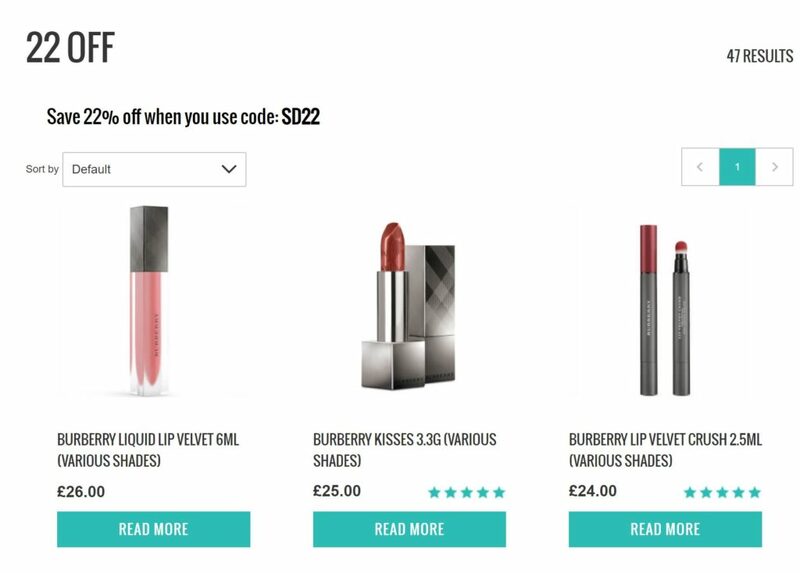 The luxurious Burberry makeup collection is on sale at LookFantastic! Get 22% off with coupon code. 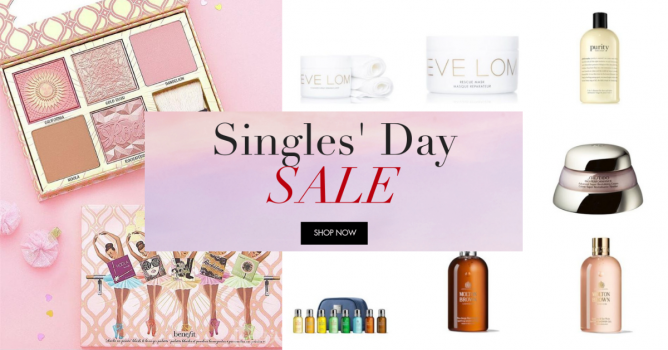 Beauty Expert has also started their Singles' Day Sale, with the highlight being 30% off for Eve Lom! It's a great deal so stock up now! Other participating brands include Chantecaille, Philosophy and more. 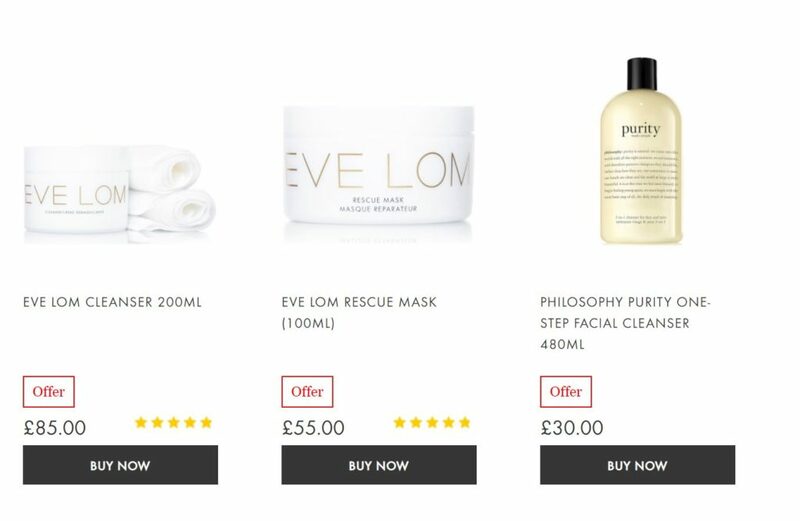 Eve Lom is a skincare brand originating from London and has accumulated a cult following of celebrities who swear by their products. Their cleansing balm is especially well-loved and has won many beauty awards. 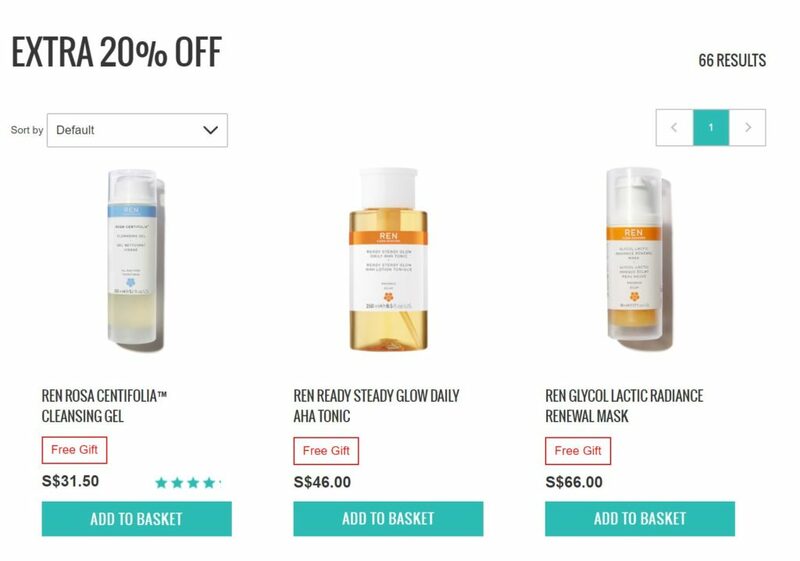 Now you can try this cult product with the sale at Beauty Expert! Use the coupon code to get 30% off! 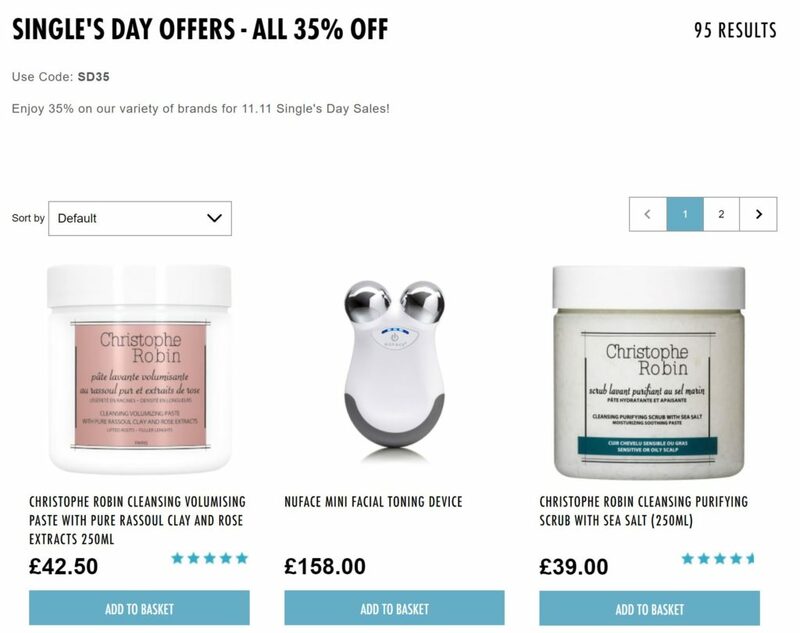 Grab Aesop and many skincare products for men at Mankind's Singles' Day Sale! Founded in Melbourne, this Australian skincare brand is committed to using the highest quality plant-based and laboratory-made ingredients. The majority of their products also contain a blend of antioxidants which have numerous benefits on the skin, including protection from UV rays, reduction in pigmentation and preventing free radical formation. A trip to their Singapore boutiques is always an enjoyment as their stores are inspired by spas so you feel calm and soothing browsing around. However, their prices in Singapore are quite high, hence don't miss this chance to get them at 27% off! 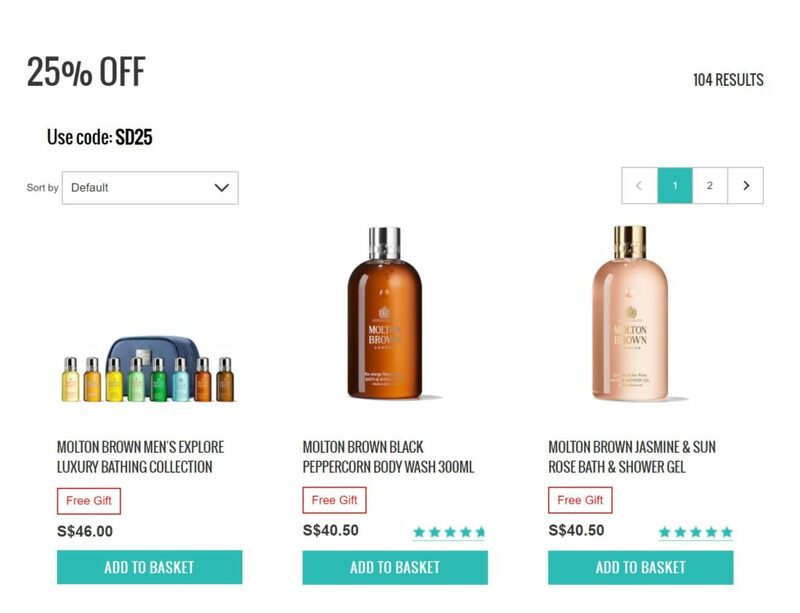 HQhair is an online shopping website under The Hut group, selling mainly haircare products and some beauty products. 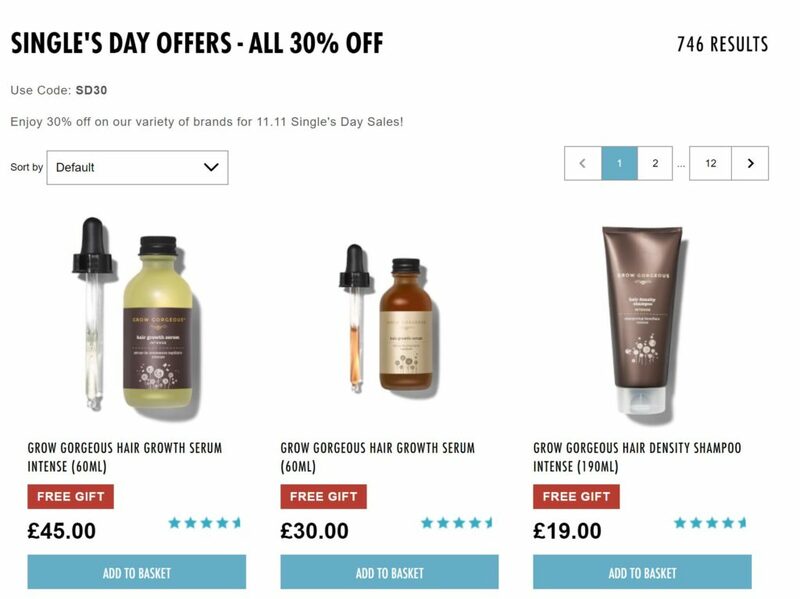 Their top selling brand - Grow Gorgeous is having a mega sale this Single's Day, so grab some products to restore your healthy hair now! Choose 3 items to get 35% off! 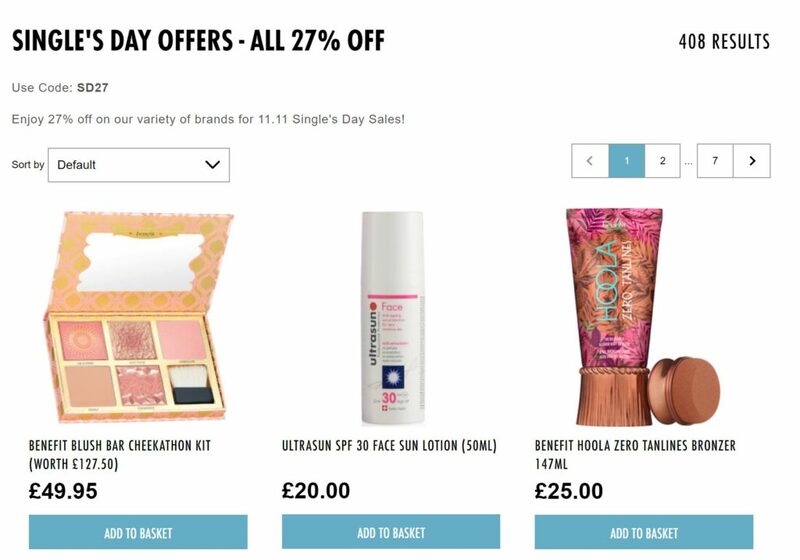 It's always cheaper to get Benefit products overseas, especially at such sales! 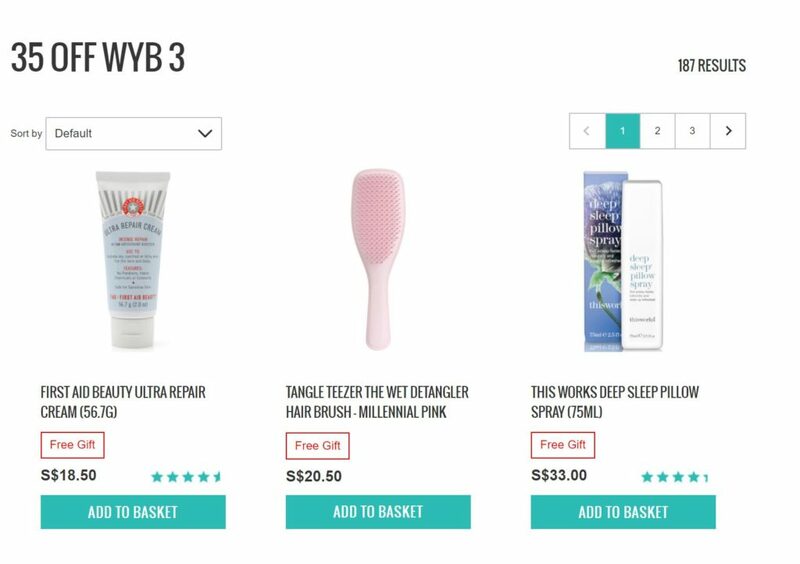 Their products are pretty and unique, you know you want it! 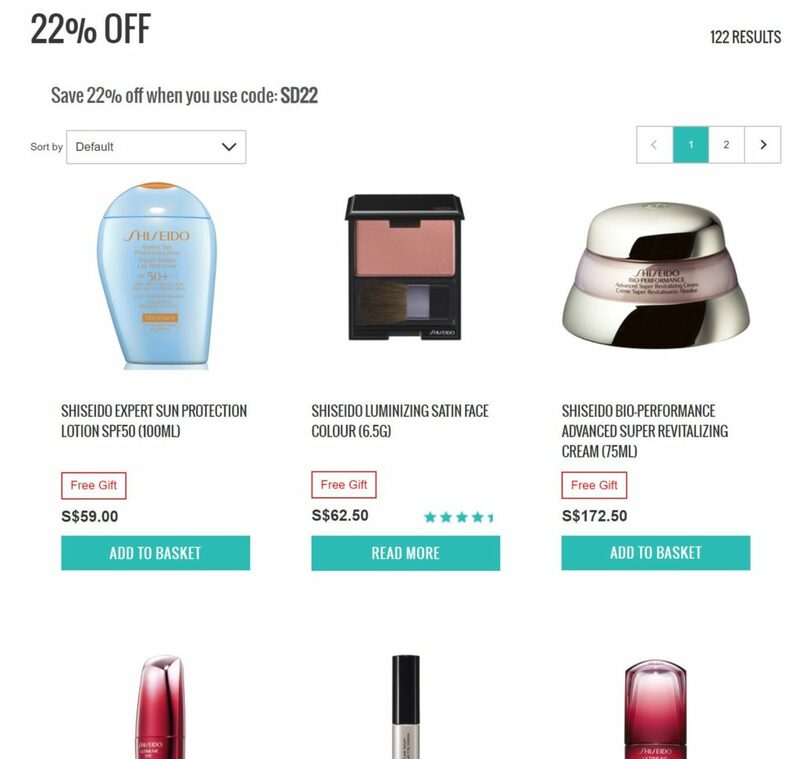 Just use coupon code to get 27% OFF. 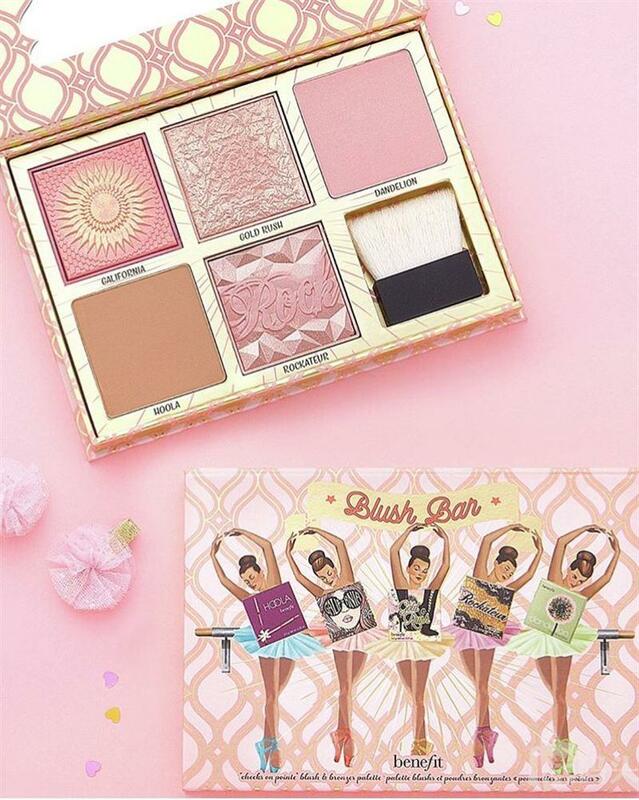 This limited edition blush set with Benefit's top selling blushes is a must buy! 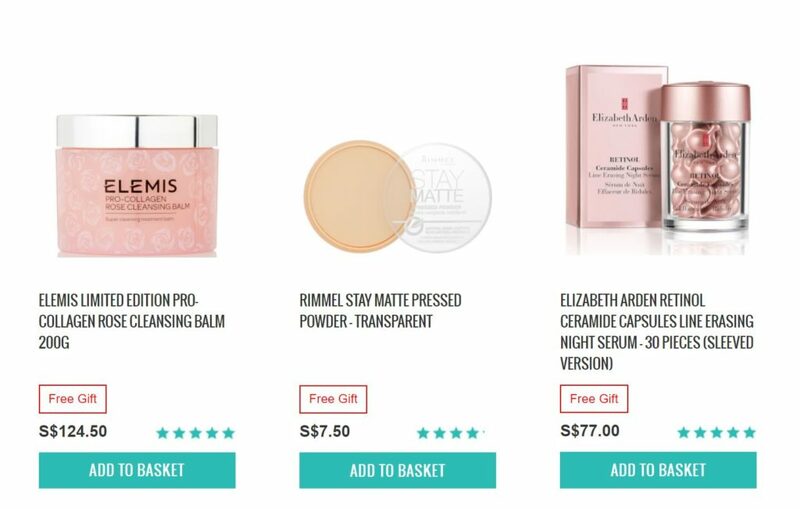 After discount, it costs only SGD67, a great deal! Christopher Robin is a renowned hair color stylist from France and he has worked with many international celebrities. He has his own salon and now haircare brand with products always recommended by magazines! 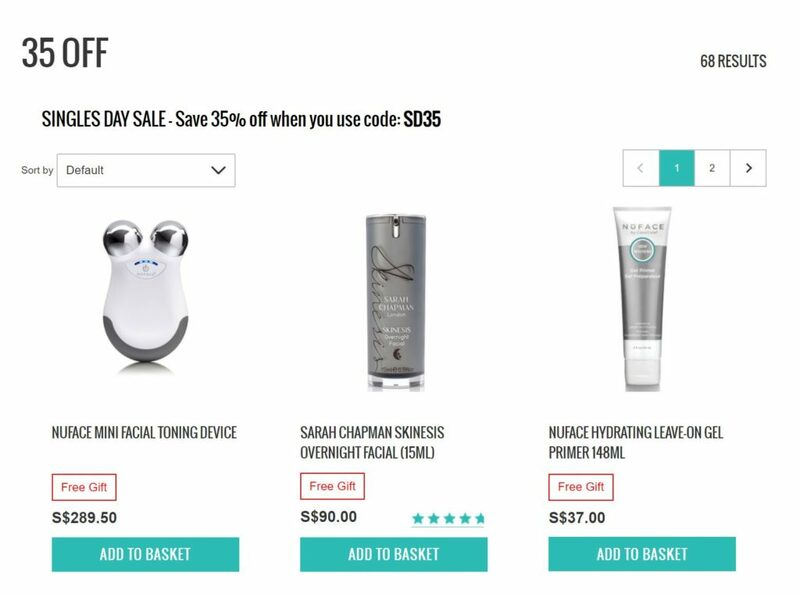 Use coupon code to get 35% off including his star products - Cleansing Purifying Scrub with Sea Salt, Cleansing Volumising Paste and more. Next: YOOX: 11.11 Singles’ Day Mega Sale – 50% OFF Celine, Prada, Valentino, D&G, Michael Kors, Moschino & More!